Hello all, after frequently being directed to his site by Google, I've decided to register. That being said, I've got myself a Hickok 209A. It unfortunately had a dead critter in there, which had eaten the insulation off the transformer, some wire, and eaten half a cap. Still restorable though. It is however missing all but the dc voltage probe. The 2 unshielded (dumb) probes are easy, but the ac voltage probe is a bit more complicated. 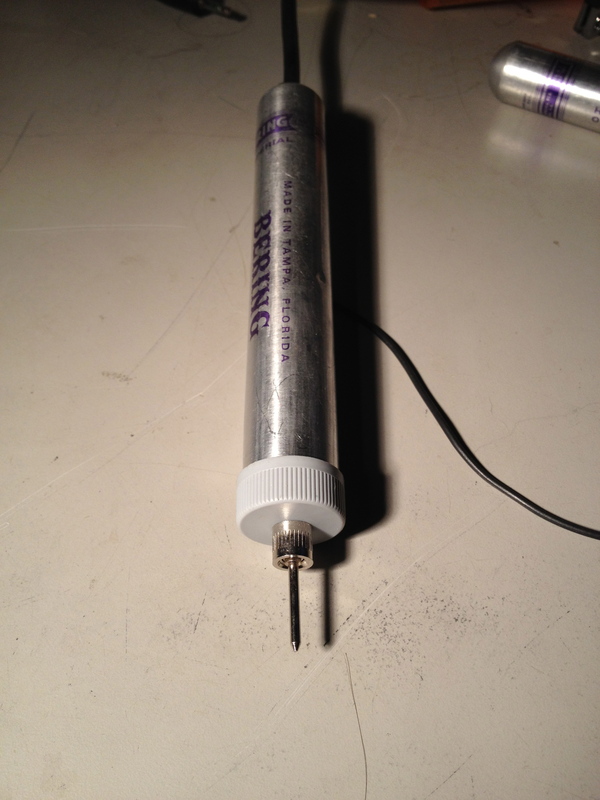 It contains a 6AL5, a cap, a resistor, etc. I'll post the schematic below. 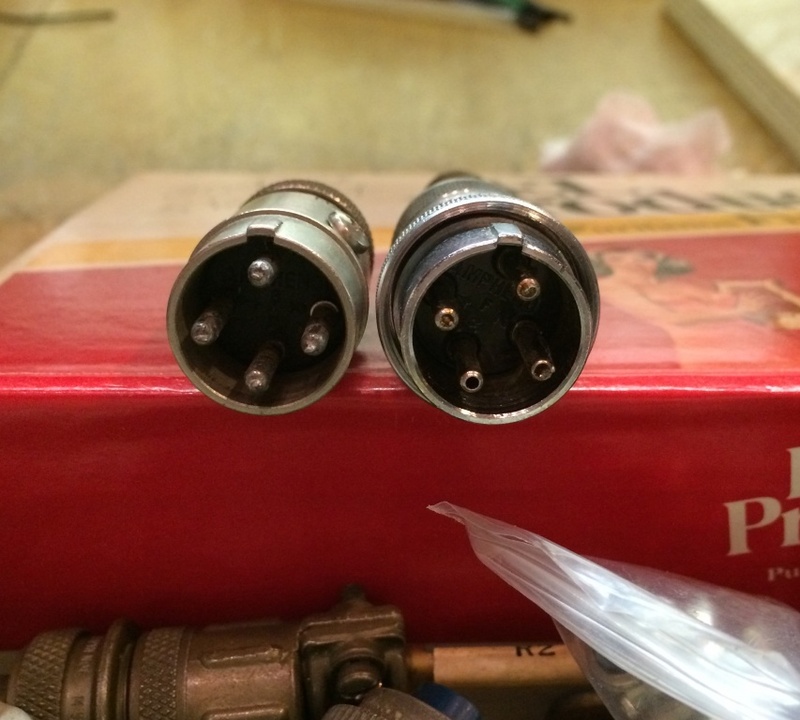 It's plug is some sort of 4pin I can't seem to find, so I was wondering if I could move the components inside and just use a normal test lead. Any reason why not? Thanks! The answer to your question depends on whether or not you wish the meter to conform to its original specifications. However, the meter is specified to be accurate in measuring AC voltages to a frequency of 100 MHz. If you wish to retain this capability, you will have to construct the probe as shown in the manual (or locate a used one). The entire rectification circuit must be located as close to the measurement point as possible with as short a ground lead as possible. 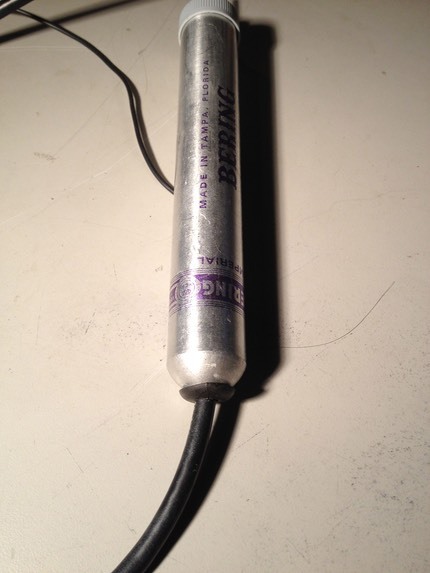 Although not shown in the manual I downloaded from the BAMA site, this ground lead would have to connect to the probe shell. For further discussion of the powered probe technique for measuring high frequency AC, take a look at the manual for the Hewlett-Packard 410B VTVM. The 410B when using this probe can accurately measure AC to 700 MHz. While I would like to keep it to original specifications, I also don't see myself measuring ac above audio. If I do it would be far above the 300V maximum for that meter. The trouble will be finding one of these rare probes, or even building it myself, finding the connector. The only other thought I had was a 4 pin XLR. If you post a close-up photo of the connector on the instrument in the ads section of this forum as a want, someone may very well have one, or tell you where to find one. 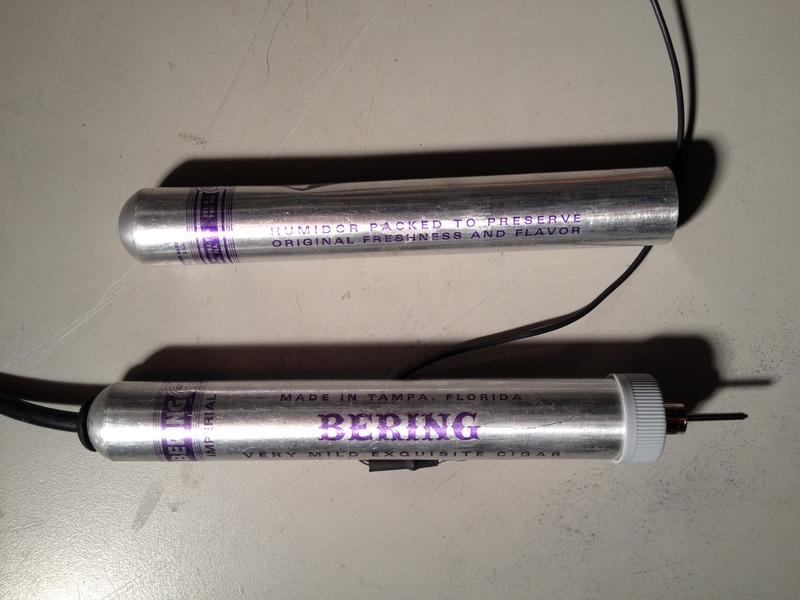 You could also ask about the entire probe; someone may have one of these as well... you never can tell. I will certainly give that a try! Thanks! If I get lucky the only thing I'll have to change out will be the pin jacks for banana/binding post jacks. It is a 4-pin heavy chrome microphone connector as used on many 2-way radios of the 1950s and 1960s. There are 2 versions that look the same, but dont quite fit the same. One was for Motorola, the other is generic and is used on GE and many others. I believe the Hickok uses the generic one. In a pinch a Motorola one could be made to work if it is the only thing available. The way the bakelite plug is indexed or clocked to the plug housing is different. You would have to fill the hole with epoxy or something and redrill. IIRC the holes would overlap. I *think* the part number of the generic one (the one you want) is Amphenol 91-MC4M. Verify before buying. Pay attention to the location of the pins with relation to the alignment key. P.S. The components in the probes need to be in the probes. The one on the left is missing it's lock ring, The only difference is the position of the pins. The Picture is from this thread, https://www.gearslutz.com/board/geekslu ... n-xlr.html , which refers to it as a "4-pin XLR connector". It is most definitely NOT a 4 pin XLR connector, although 4 pin XLR connectors do exist. I believe you are correct, I'll have to scrutinize the indexing when I get home. Thanks a lot! The manual I downloaded was pretty fuzzy, so I couldn't make out some of the text, and didn't bother straining my eyes on a thorough read. 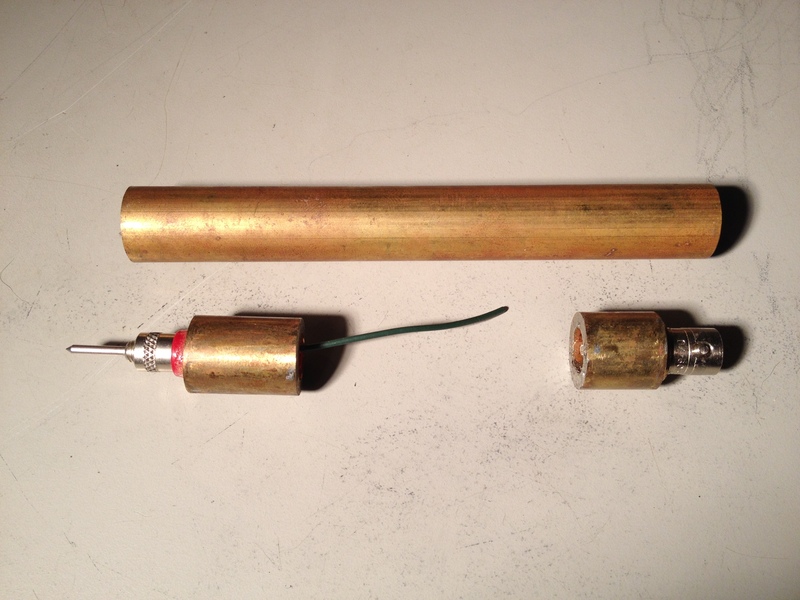 Thus, I hadn't noted that it was capable of accurately measuring high frequency ac. Had I have the probe construction would have made sense. 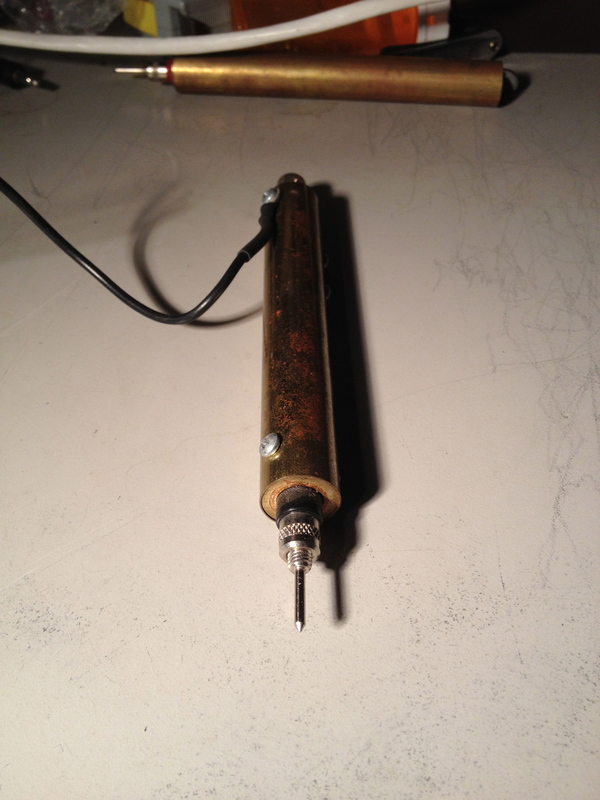 I'll either use an old heathkit probe body, or build something from scratch if I can't find an original probe on here. (or if I can't afford it). 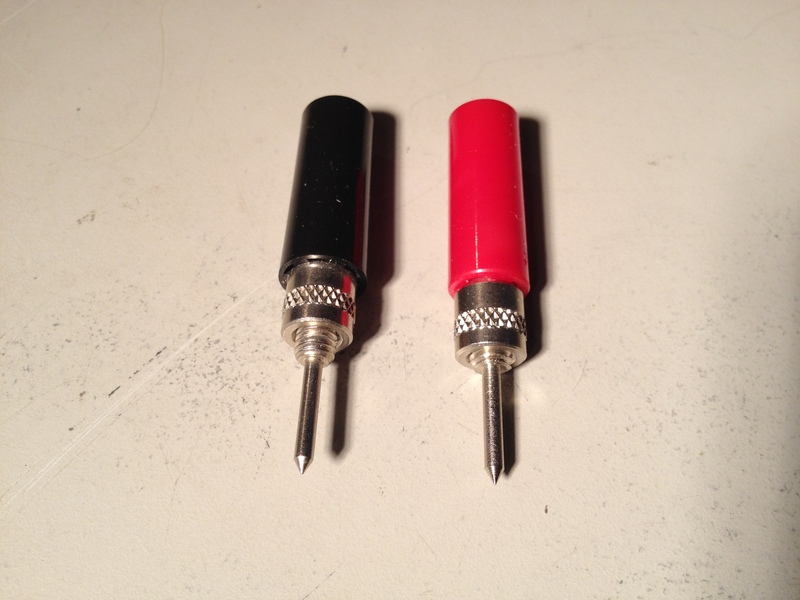 It is the one one the left, with the index aligned with the pin. That matches the part number you gave me spot on. I have used actual 4pin xlr for a pyrotechnic firing system, and you are right, that's definitely not it lol. So I guess once I get everything recapped, checked, and reinsulated I can go ahead and build the probe. Thanks! If you are not trying to restore the 209 to it's historical accuracy, but rather to USE it, I'd suggest that you substitute the original 4 pin connector for a newer style, which you can find a mating connector for. 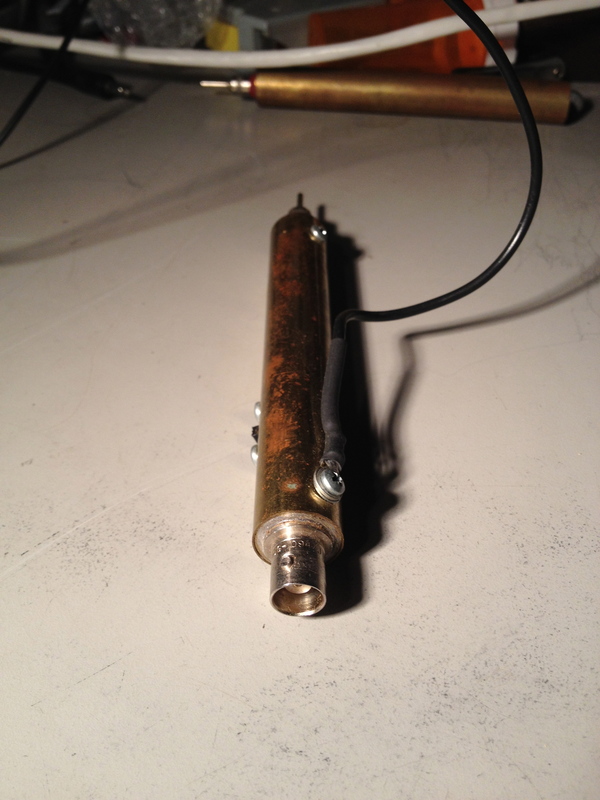 Then you can build your probe to original specs, with the only difference being the connector. These probes do show up occasionally but in my experience you have to be in the right place at the right time. I am indeed going to use it. However the original connector on it is readily available, for about $25. So why change it? Might make the probe look all fancy for a personal touch. Should I make the body of the probe out of mu metal? 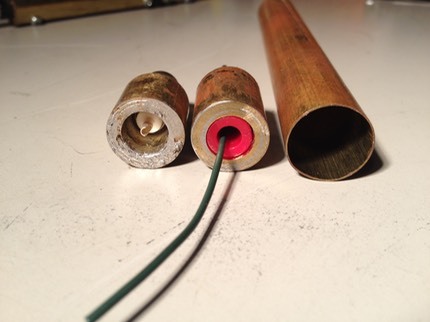 Also, will having a 3/4" hole in the tube cause a problem? If so would brass mesh over it help? I kind of want a little window to see the tube light up. Well the more shielding the better but there are points of decreasing returns. If you want to see the tube light up that window will be a break in the shielding. You could screen the window. Balance between shielding and visibility. It will rarely see anything above 60Hz, and max 25KHz. So I don't think shielding will be all that critical. Also nothing under 25v really. I'm in the middle of a complete rebuild/restore and after buying the male 4-pin connector on eBay I too discovered the slight offset which made the connector useless. So I ended up buying a complete matching male/female set which solved my issue. I want an instrument to use on my Ham radio gear so I decided to swap out all the caps, install new banana plugs throughout and added a standard EMI filter line cord receptacle on the back case (that part isn't finished yet). 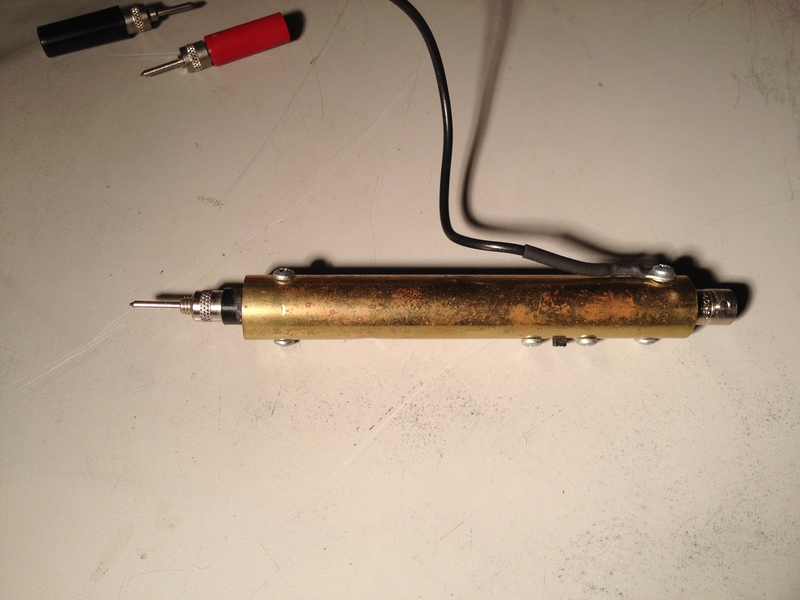 I too have to build an AC probe. I bought a length of black Delrin to turn down on the lathe for both probe ends and some 1" aluminum tubing. It should work with the vacuum tube - it's a fun mechanical project mostly. Actually for me it's the probe tip that I need to think about. Just not sure what to use there. I'm intending to do largely the same thing, though I just took a line cord emi filter board from a microwave. I'll just mount it on standoffs in the case. I'm not sure what I'm going to use for the conical but in the end. I don't have delrin, or a lathe. For the tip you could use a metal tip from a dart? Good luck on your restoration as well , and thanks for scans! A dart tip - hmmm now that has merit. I'll have to give that some thought. Delrin can be shaped easily - even up again a belt sander for a rough shape and then finer sanding for a smoother better finish. The dart tip is assuming you aren't measuring any particularly low voltages. After all they are typically made of steel, not copper. Might have to get me some delrin! I also have some glass reinforced phenolic rod around somewhere. Not as easy to work with though. Just drill and tap the Delrin for this and the rest is easy. Probe tip problem solved indeed! What are the threads on those 1/4-28?